It might not matter to you, but an overwhelming number of users don’t ever change their system’s background theme. Don’t believe us? Just have a peek over your colleague’s computer screen. They might be stuck with one of those boring operating system’s stock images. Why not pep up those dull screens with some cool & attractive Windows themes instead? We’re on a mission to replace your outmoded default Windows desktop theme with some pretty incredible makeovers. It would be fair to say that dark themes look the coolest. 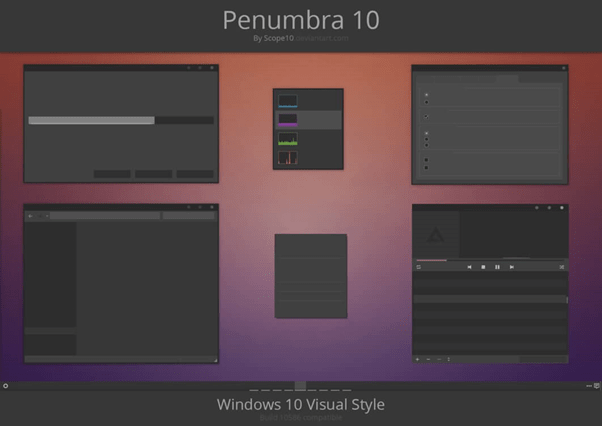 Penumbra 10 is an excellent theme for people who prefer minimalistic darkness on their desktop environment. 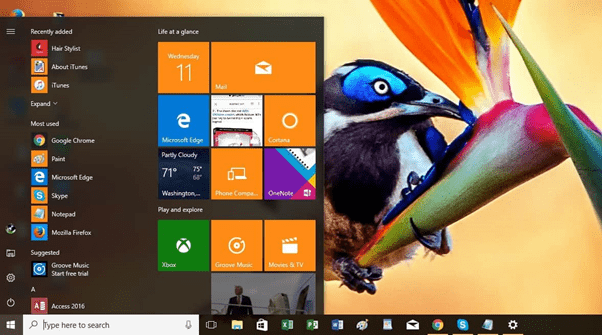 It offers an extra benefit of giving ease to your eyes as compared to bright Windows 10 themes. The theme is specifically designed for gamers. 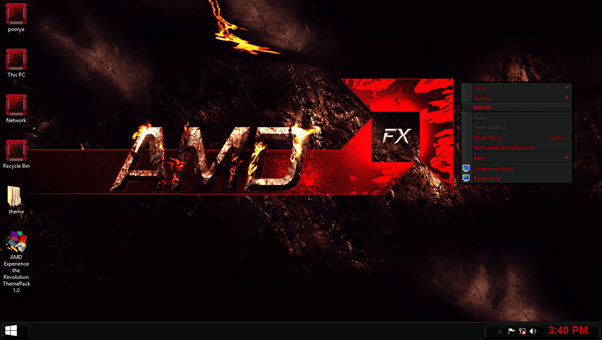 To give your Windows environment an authentic look of video game UI, AMD theme pack is the perfect choice. 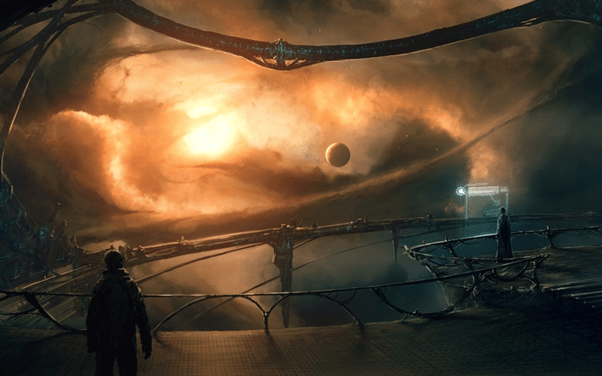 As the name suggests, this Windows desktop theme is dedicated to all science & fiction. It’s packed with lots of wallpapers based on real imagery of galaxy, futurism, meteor shower on earth and much more. 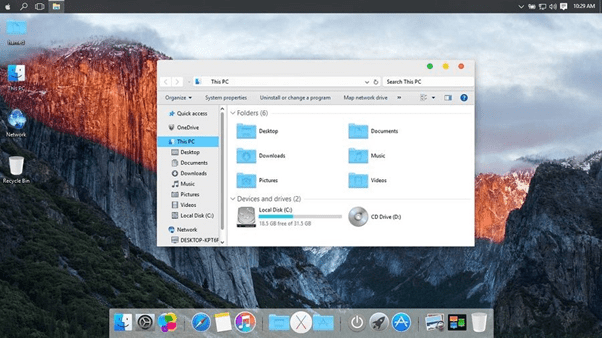 Even if you don’t own a Mac, you can still give your Windows OS a complete look of Mac OS. 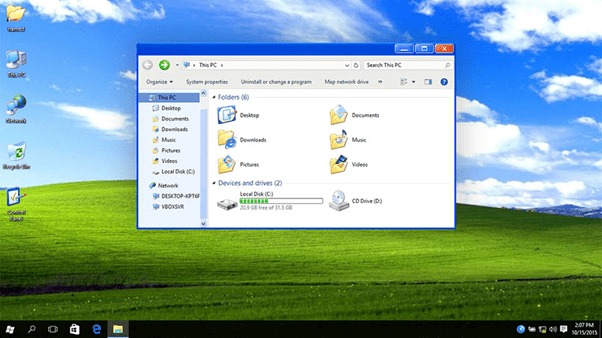 It’s a perfect theme for someone who is used to the Mac OS interface or would like to experience in Windows system. Take a trip to the botanical garden with this vivid Windows theme pack. A Rainbow of Birds is an ideal theme if you are a big fan of birds, flowers & wildlife. Dive into the rainbow & feel the warmth of spring with its unique collection of wallpapers. Chocolate, a guilty pleasure of several of us. So why should hide your passion? 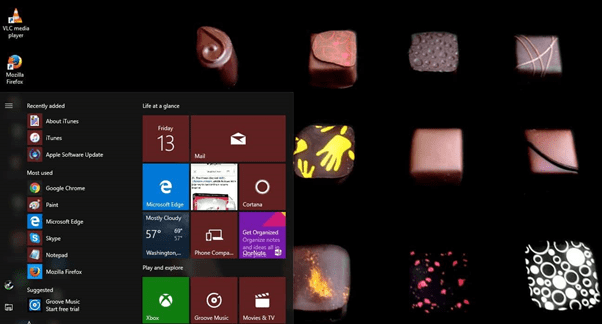 Download this amazing Windows 10 theme pack which is fully loaded with a plethora of chocolate wallpapers. Sometimes it doesn’t hurt to go back in the past & remind ourselves about how it all started. This Spring Blooms Windows theme will do an amazing job to refresh your memories about using the computer for the first time. Are you an Ubuntu lover? 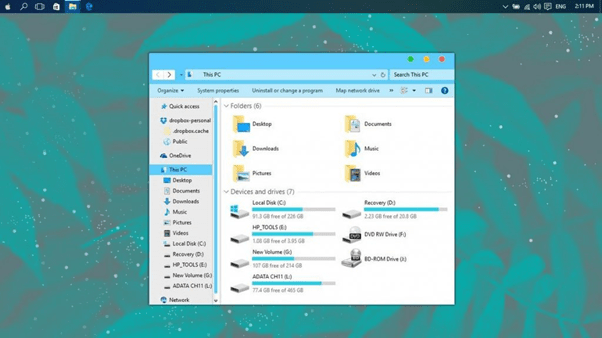 Want to get the complete interface of your favorite OS on your Windows 10? 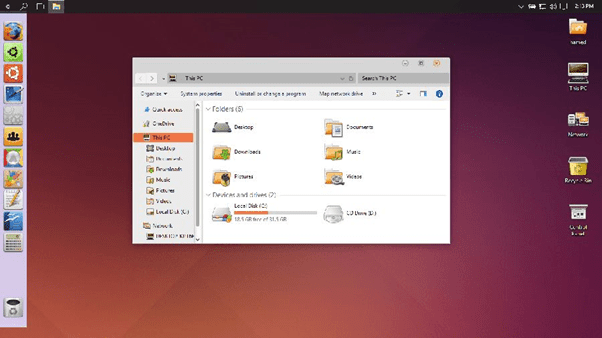 Try this amazing desktop theme for the best experiences of Ubuntu light, you can also customize the colors & icons according to your preference. 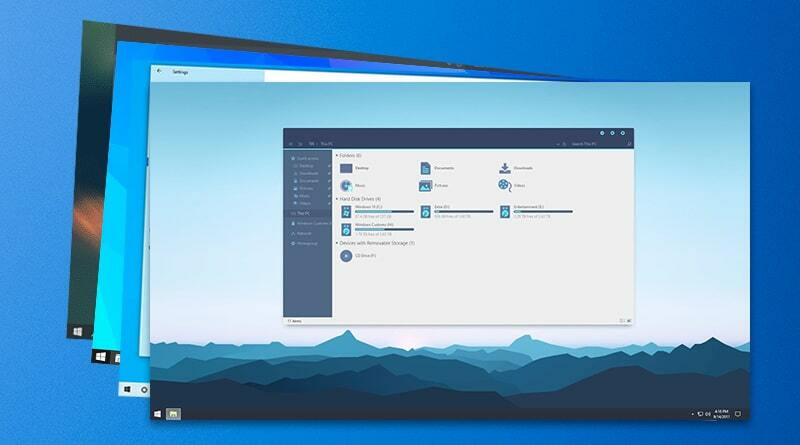 Clarity & Simplicity are two attributes that describes this Windows 10 theme the best. It’s packed with lots of features, wallpapers & color customization options. You can personalize it for daytime or night. As the name implies, simplify 10 is a plain but classy theme, it gives the UI an elementary look. Plus, it comes with different color patterns including white & grey. It also minimizes the size of buttons on your screen to have compact & solid look. 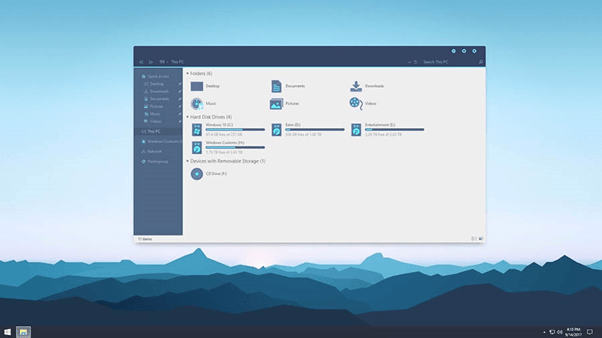 How To Change Themes In Windows 10? Download any of the Windows desktop theme of your choice. Double-click it to install it & apply the theme. Also, you can right-click on the downloaded theme and click on ‘Open’ option to apply the theme. Do not be overwhelmed while choosing the “Best Windows themes”. Try all the options above & stick to the one that impresses you the most.